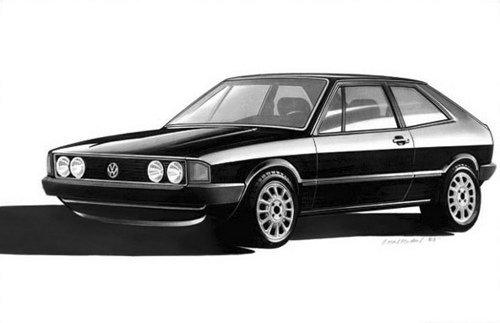 No, not the all new, completely redesigned MkIII that never came to the States (although that’s cool, too), but rather, the MkII 16V and the Giugiaro-designed MkI that preceded it. So without further ado, let’s take a quick break from spendy cars (911s, M3s, et al.) 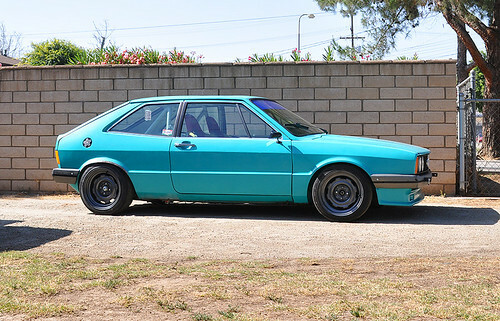 to have a long overdue look at the eminently affordable Scirocco, which remains no less desirable for its reasonable cost of entry, and also seems to carry less emotional baggage than its tantalizing (but complex and frequently anguish-inducing) successor, the VW Corrado. We could use one of these. The Scirocco name derives from the Italian word for the ‘Sirocco’ wind — and the period in its history when Volkswagen named vehicles after prominent winds, including also ‘Passat’ (after the German word for Trade wind), ‘Golf’ (after Gulf Stream), ‘Bora’ (after Bora) and ‘Jetta’ (after Jet stream). 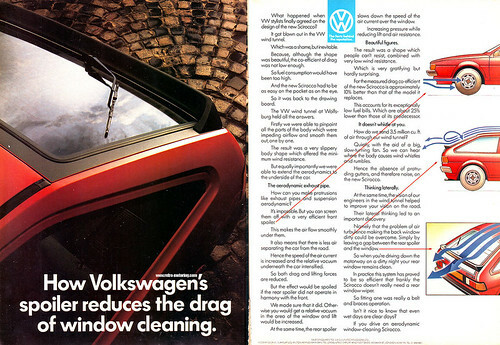 Volkswagen began work on the car during the early 1970s as the replacement for the aging Karmann Ghia coupe, and designated it the Type 53 internally. 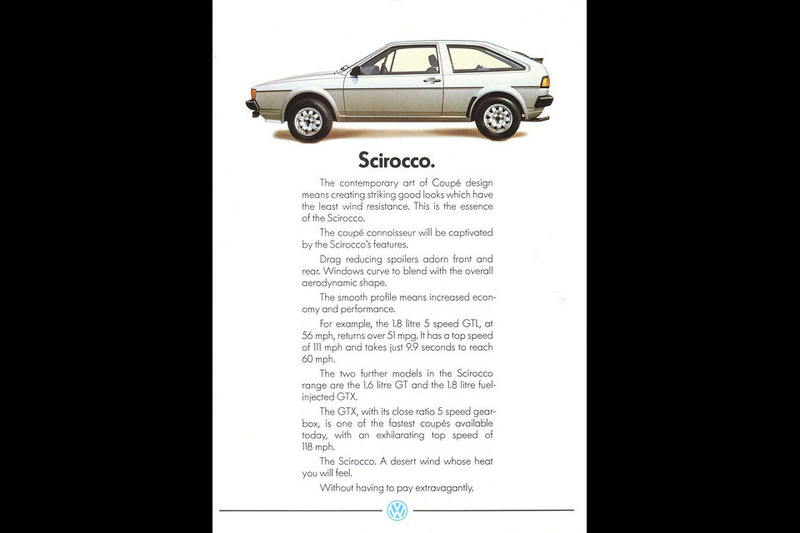 The platform of the Golf/Rabbit and Jetta was used to underpin the new Scirocco, although almost every part of the car was re-engineered in favour of a sportier drive, and the model’s all-new styling, penned by Giorgetto Giugiaro, was sleeker and sportier than that of either the Golf or Jetta. Launched six months before the Golf, in order to resolve any teething troubles before production of the high volume hatchback started, the Scirocco went on sale in Europe in 1974 and in North America in 1975. 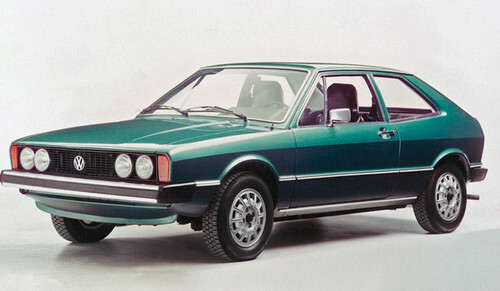 A heavily re-designed “Mark II” variant went on sale in 1982, although it remained on the A1 platform. 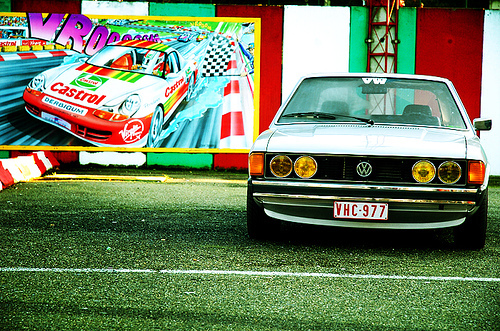 Like the first generation Scirocco, the car was assembled on behalf of Volkswagen by Karmann of Osnabrück. 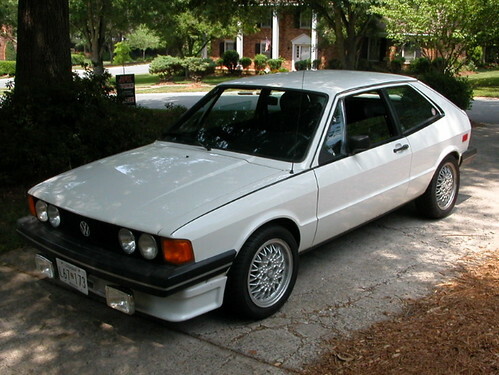 Scirocco sales continued until 1988 in the United States, 1989 in Canada, and 1992 in Europe. 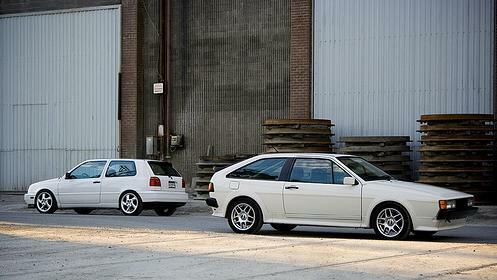 The Scirocco was replaced by the Corrado in the VW line-up (source). Though not bad, doesn’t work quite as well on the MkI. Over the past thirteen years, the silver spoilered brat pictured here has confidently watched its owner acquire – and then rid himself of – a hot red Nissan, two Mazdas, a VR6-powered Volkswagen, three Mercedes-Benzes, five BMWs, and a pair of Porsches. From its heated garage spot, it has snickered at Ferraris outside braving the rain and Aston Martins fighting the cold. And it laughs so hard it pees – Mobil 1, on the floor – every time some expensive, exotic new car sits out overnight, suffering the indignity of being molested by the neighborhood cat. 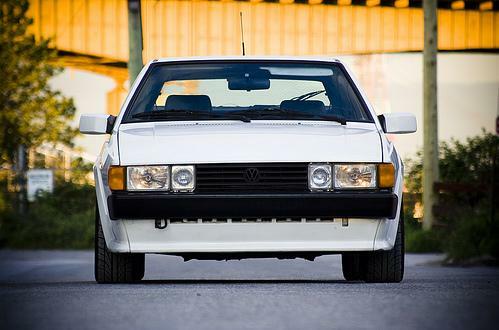 Such favoritism toward a twenty-three-year-old VW might seem strange, but there is something pretty special underneath the Scirocco 16V’s skin: it shares its A1 chassis with the Rabbit GTI – the original hot hatch, the pocket rocket that started it all. 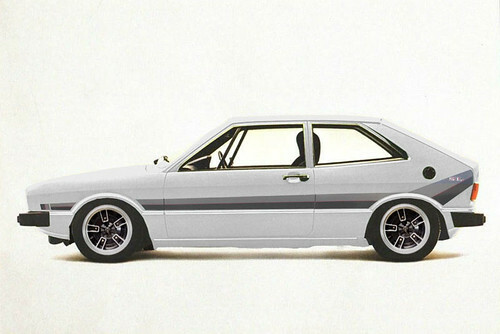 The Giugiaro-designed two-plus-two Scirocco arrived in 1975 together with the taller, more utilitarian Rabbit that shared its chassis. 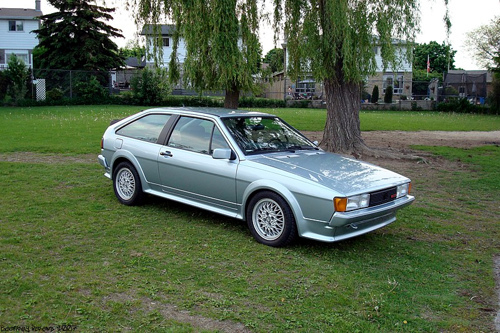 A 1982 update to the Scirocco kept the A1 underpinnings but ditched the Italian bod in favor of more aerodynamic – but just as angular – styling. 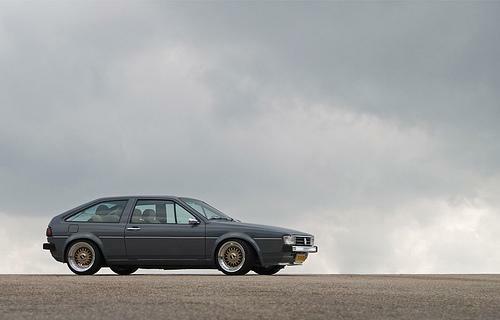 A nearly identical-looking Guigiaro-designed sport coupe, the Isuzu Impulse, debuted a year later, fueling endless speculation among the Vee Dub crowd that Wolfsburg had simply stolen the Italian design proposal. It’s not the case, but the similarity between the cars is unmistakable. 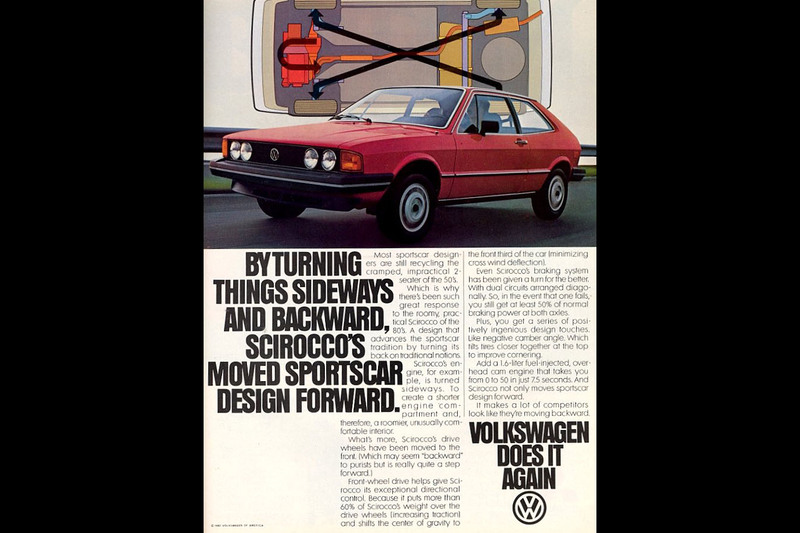 Who’s-my-daddy drama aside, the Scirocco’s shape was becoming stale as the second-generation car neared its fifth birthday. 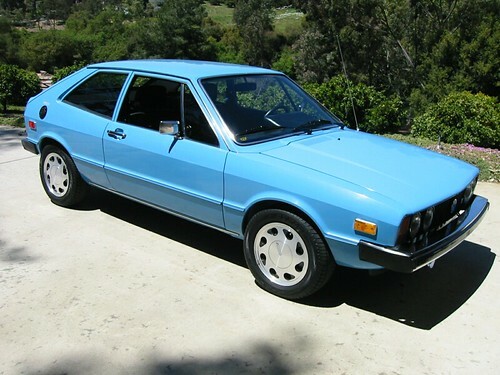 Midway through the 1986 model year, though, a 124-mph gust of fresh wind blew into dealers – a hopped-up engine made the Scirocco 16V the fastest and most powerful Volkswagen ever. 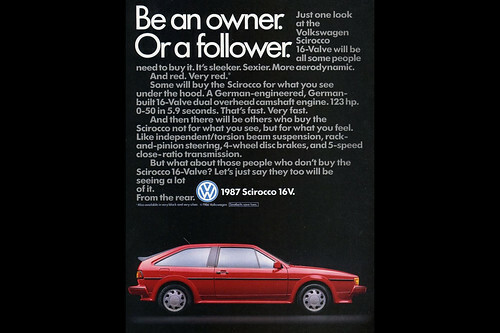 Multivalve engines were just entering the mainstream, and VW’s 1.8-liter was particularly advanced, with a slightly outrageous (for the time) 10.0:1 compression ratio requiring a knock sensor to guard against detonation; hydraulic lifters; sodium-filled exhaust valves; and oil squirters to cool the pistons. It redlined at 7200 rpm – a tach twitch below the highest-revving Ferrari V-8s of the day – and produced 37 percent more power than its similarly sized eight-valve counterpart. 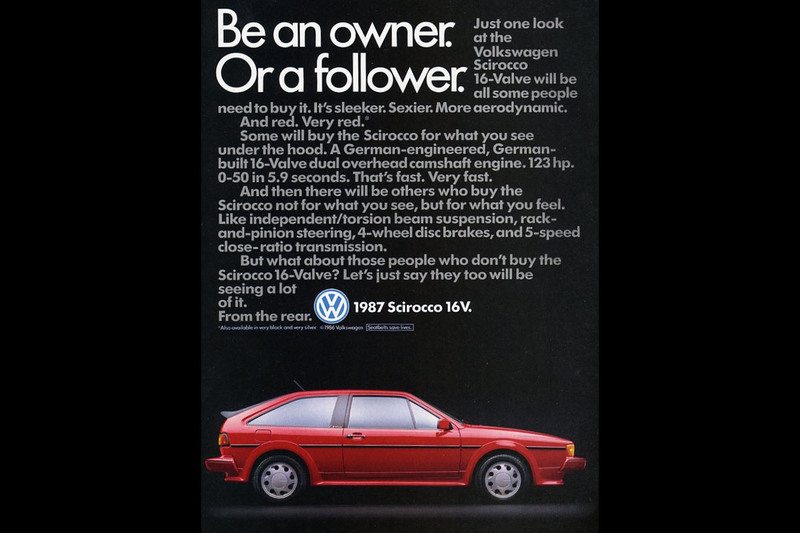 A power rating of 123 hp doesn’t sound like much today, but with less than 2300 pounds to propel, the Scirocco 16V’s eight-second sprint to 60 mph was quicker than Porsche’s 944, which cost twice as much. 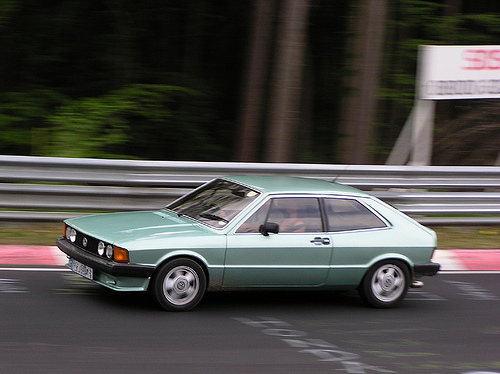 The Scirocco 16V could even threaten BMW’s brand-new, 168-hp 325is. 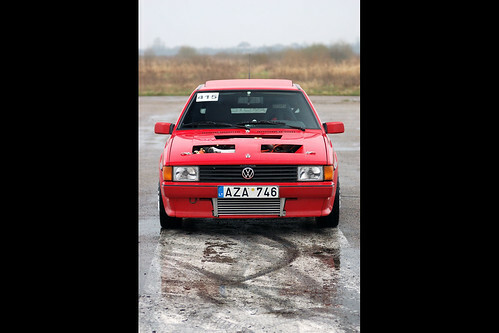 To show other drivers that the 16V meant business, Volkswagen slapped on a body kit replete with oh-so-’80s fender flares and the requisite enormous – but functional – spoiler that split the rear glass. Behind the upsized (fourteen-inch) “teardrop” wheels were disc brakes front and rear. And the pièce de résistance: a small, angled, and amplified antenna on the roof. 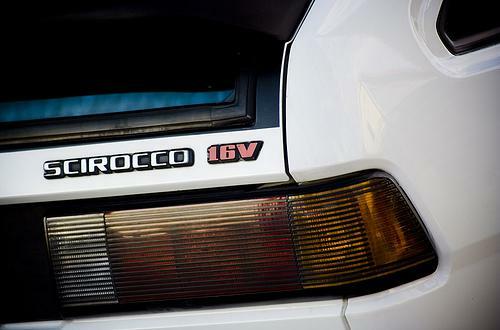 That bee-sting antenna has since become commonplace, but the Scirocco 16V still ranks among the automotive elite on the smiles-per-mile chart. The engine’s response is so instantaneous that it makes you wonder why, if computers are so darn fast, modern electronically controlled engines don’t react like this. The clutch pedal’s heaviness is your clue that it, too, is connected by cable – not hydraulic fluid – to the pressure plate, and the reward is perfectly smooth shifts every time. Rowing the old VW through the gears is a full-on riot, thanks to comically short ratios so closely spaced that you sometimes wonder if you just shifted back into the same gear. Its long stroke creates lots of vibes, but the sixteen-valve engine absolutely loves to rev, and it rewards forays to the top of the tach scale with an unusually baritone exhaust note. 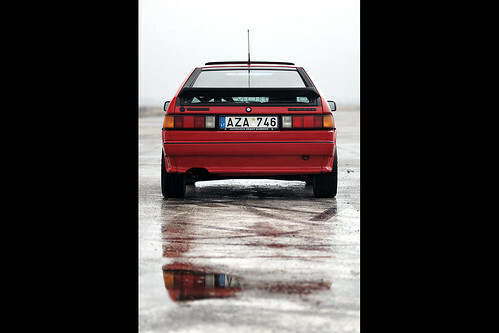 A stock Scirocco 16V leans its way through corners with near-perfect balance, holding its inside rear wheel high in the air like other A1 Volkswagens. Steering inputs are met with an immediacy that’s missing from today’s heavy cars, and the wheel transmits far more information about what the front tires are doing than you’d ever expect from a front-wheel-drive vehicle. 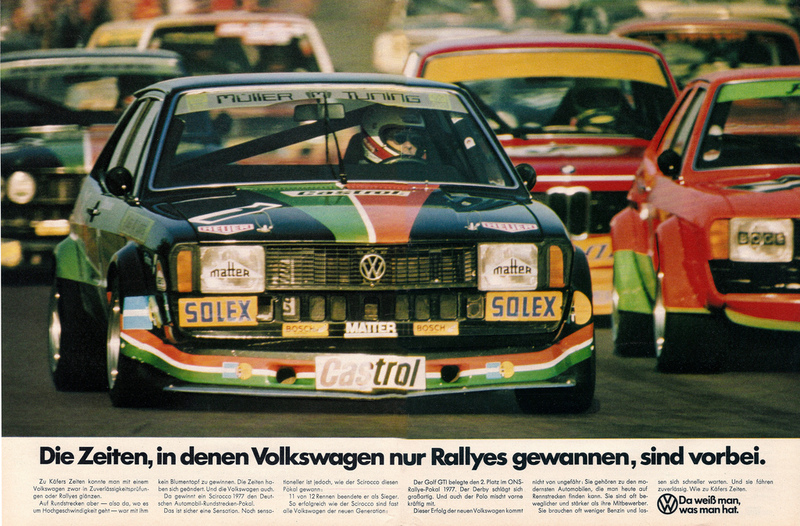 Torque steer is nonexistent, proving yet again that front-wheel drive worked better back when engines were modest and mass was minimal. Of course, that light weight translates into a quivering structure with all the rigidity of a baguette soaked in milk – the 16V’s extra bracing couldn’t perform miracles on a chassis dating back to the mid-1970s. 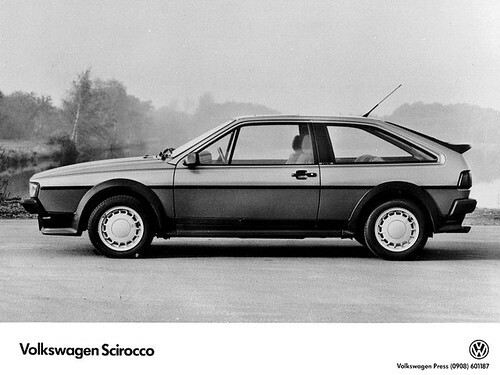 But that wasn’t the Scirocco’s biggest shortcoming – what it really lacked was headroom. A six-footer fills the front seats to capacity, and only a four-foot-something Romanian contortionist would be truly comfortable in back. Vertical space was no problem for the tall GTI, which had already moved up to the more robust A2 platform by the time it inherited the 16V’s firepower in 1987. It wasn’t quite as quick as the Scirocco, but its stiffer structure and increased practicality made it the more desirable VW – at least until the Corrado came along in 1990. 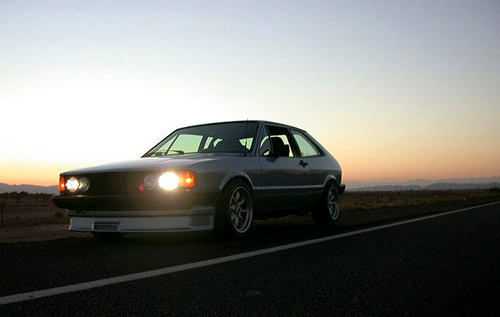 Time has proven that this modified 1987 Scirocco 16V is “desirable” to its owner. 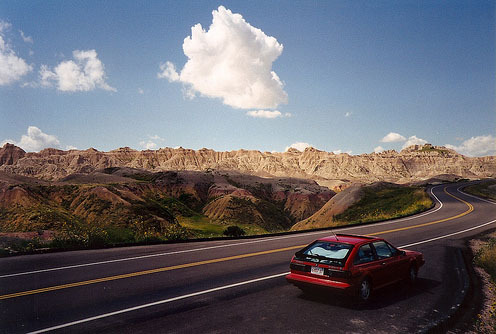 Show the faintest trace of interest in his car, and he’ll whip out pictures and tell you a story about how much fun it is to drive. How do we know? Because that’s exactly what just happened: that enamored owner is me. Because the only curve on this car is the one it likes to go sideways around-on three wheels. Few inexpensive classics can put a bigger smile on your face. 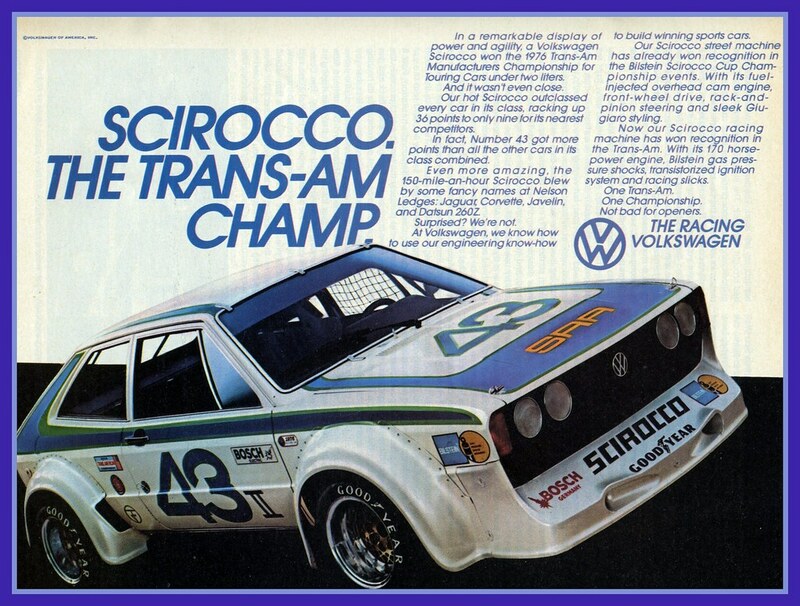 Unfortunately, many Sciroccos have found their way into guardrails, and clean 16Vs are nearly impossible to find, especially unmodified. Despite crazy-short gearing (about 4000 rpm at highway speeds) and updated EPA city/highway ratings of 21/26 mpg, owners report more than 30 mpg in mixed daily driving. 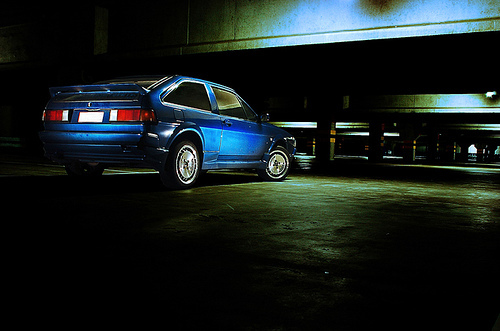 Make the hop for photos of the author’s beautiful car. ~ by velofinds on October 15, 2010. 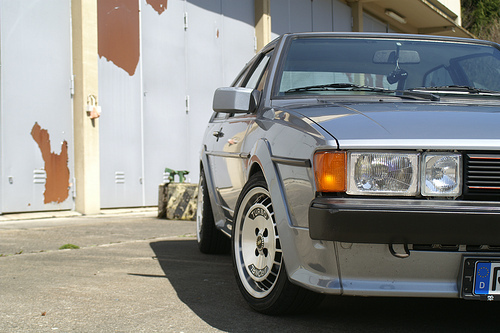 Did you know — Jeremy Clarkson used to own a Scirocco and to this day have very high praise for it. i vaguely remember that from somewhere- can’t recall where though. i’d love to have been able to dig up an old tiff or quentin wilson review, but came up empty-handed. seeing these cars lifting a leg through a corner is really something. found it- mentioned during this mk1 golf gti (on which the scirocco is based) review. 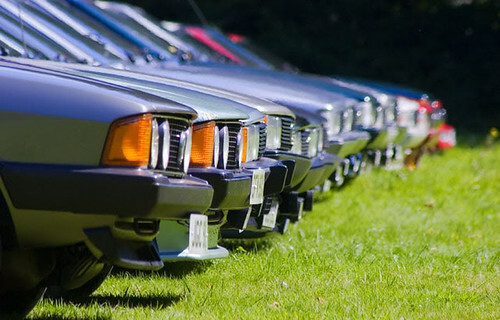 I would love to have a Giugiaro wedge car meetup that was all GTV6s, Sciroccos, Esprits, etc. That’d be so cool! 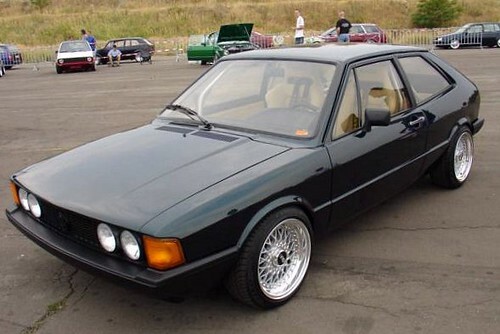 Seeing some of these MKII’s makes me wish I’d kept my ’86 black/black, or at least done something interesting to it. IIRC the A/C/ was not up to the challenge in Virginia. Also recall the shift throw being unacceptably long for spirited driving. I had one in high school and I can’t wait to get another one someday. Thanks for this post! nice! thanks for that flickr link. 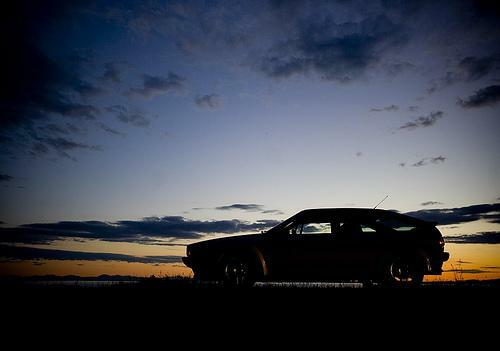 you have had a number of fun/interesting cars, including the mk1 gli and the prelude si. 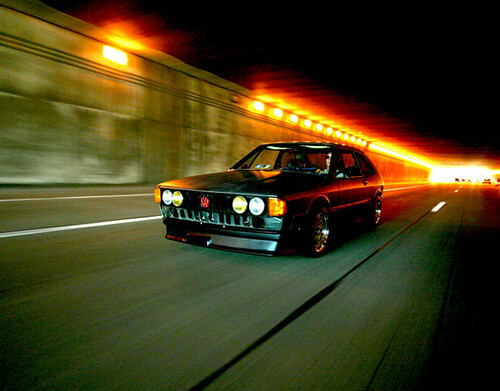 the alfa probably takes the cake for quirkiest/funkiest. which was the most fun to drive? my guess would be the prelude. Most fun to drive… tough call! 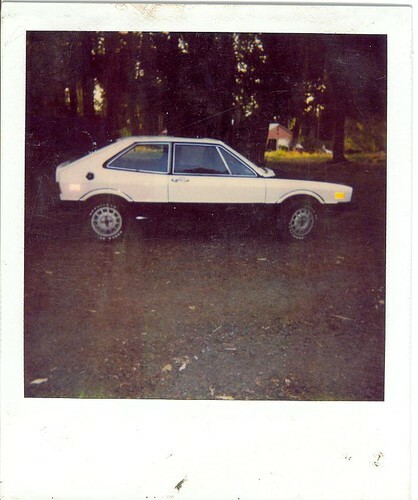 Most of the cars were driven in high school or college, and I have fond memories of all of them. 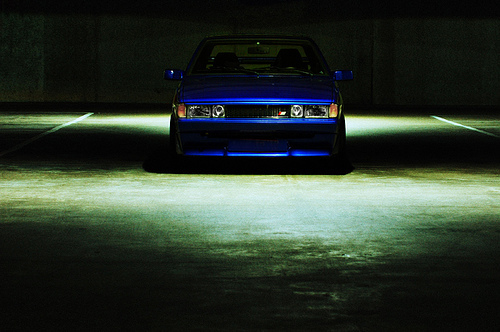 We actually had two Prelude Si’s (88 and 91) and they were great cars and dead reliable. Fast, nimble, easy on gas, and great visibility. 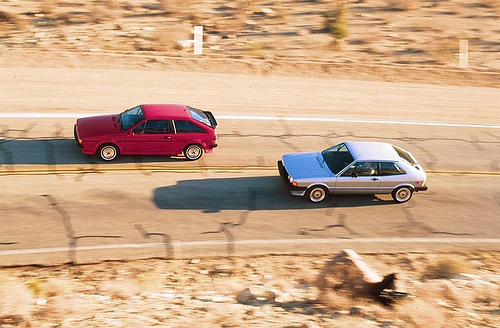 The GLi was a car that made the rounds with three of friends. 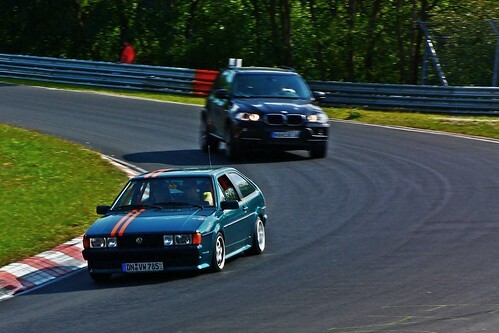 By the time it got to me it was well sorted: Fittipaldi rims, rebuilt motor, G grind cam, Autotech header and exhaust, Autotech suspension, Bilsteins, lightened flywheel, etc… great car and did my first track day in it — which was also the first time I fish-tailed a front wheel drive car! The Alfa was a car I split with a buddy for $400. We had big plans for it but it really needed someone with about $2k to throw at it and we were still working at that pizza joint for tips. Quirky and interesting, but not really noteworthy. The MG Midget was a fun car. It was a 67 with the 1275 motor stock. It was rusting pretty badly with a hole in the passenger floorboard like the Flintstones. But it drove great and was a fun introduction to old British cars. Bought for $200 needing a transmission (which we briefly thought we’d rebuild ourselves until we opened it up on my kitchen counter and detent balls kept flying out!) and sold later for $1200 at the Portland British Field Meet. We actually had two guys bidding over my asking because they wanted the motor. What do we know about it? I think I need to start searching for a project car! You guys rock! Thanks for the links!